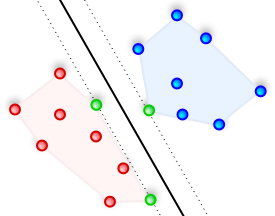 Support Vector Machines are machine learning models that are used to classify data. Let’s say you want to build a system that can automatically identify if the input image contains a given object. For ease of understanding, let’s limit the discussion to three different types of objects i.e. chair, laptop, and refrigerator. To build this, we need to collect images of chairs, laptops, and refrigerators so that our system can “learn” what these objects look like. Once it learns that, it can tell us whether an unknown image contains a chair or a laptop or a refrigerator. SVMs are great at this task! Even though it can predict the output, wouldn’t it be nice if we knew how confident it is about the prediction? This would really help us in designing a robust system. So how do we compute these confidence measures? It says that this datapoint belongs to class 0. We can look at the graph and visually confirm that this is infact correct. How far is it from the boundary? Although we know which class it belongs to, we don’t know how far it is from the boundary. Let’s consider two points, say [4, 2] and [1, 0]. 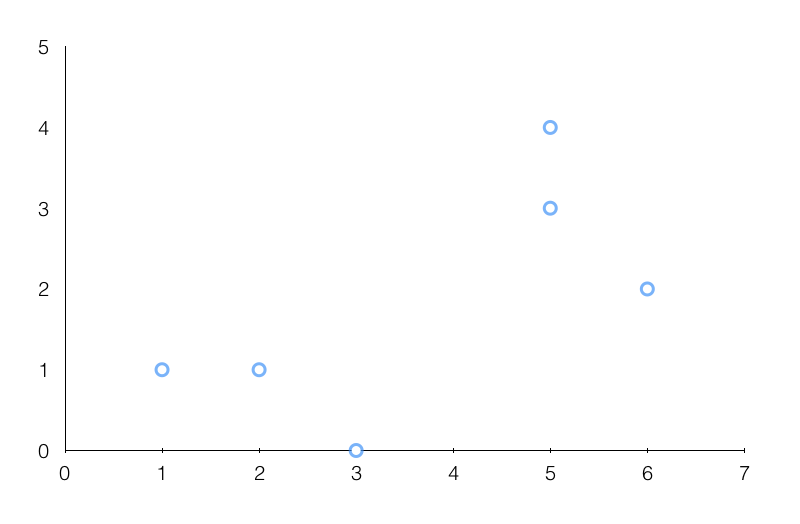 If you plot these points on the graph, we can confidently say that [1, 0] belongs to class 0. But [4, 2] lies right on the boundary and we are not so sure where it’s going to go. So we need a way to quantify this! To do that, we have a function called “decision_function” that computes the signed distance of a point from the boundary. A negative value would indicate class 0 and a positive value would indicate class 1. Also, a value close to 0 would indicate that the point is close to the boundary. It says it belongs to class 1 but based on the output value, we can see that it’s close to the boundary. Is this the same as confidence measure? It is 43.25% sure that it belongs to class 0 and 56.74% sure that it belongs to class 1. As we can see, the decision is not very clear, which seems fair given the fact that this point is close to the boundary. Looks like we are all set! This entry was posted in Machine Learning and tagged Artificial Intelligence, Confidence Measure, Probability, Supervised Learning, SVM by Prateek Joshi. Bookmark the permalink. Weren’t you supposed to run classifier.predict_proba([4, 2]) to get the probability? This is the same as above. I’m again and again baffled about how well SVMs work, because they are so simple. Furthermore the kernel trick makes it possible to construct efficient non-linear classifiers. I totally agree! SVMs work amazingly well in a wide variety of scenarios. Thanks for this simple yet thorough explanation on how decision_function and predict_proba works!